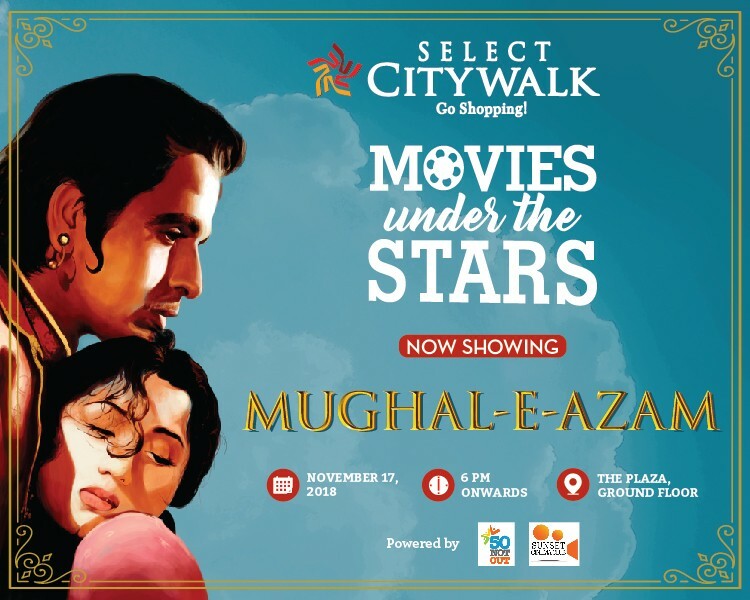 Come and join us in Movie Under The Stars on November 17th, 2018 as we are showing one of the most classic historical dramas of all time, ‘Mughal-E-Azam’. An epic tale of two lovers – Salim and Anarkali, Mughal-E-Azam has broken umpteen records since its release in 1960. So gather your friends and family and experience the best of this masterpiece with us at The Plaza, Select CITYWALK, 6 PM onwards.